N.L. Lumiere: FROZEN: A SECOND RENAISSANCE AT DISNEY ANIMATION? FROZEN: A SECOND RENAISSANCE AT DISNEY ANIMATION? 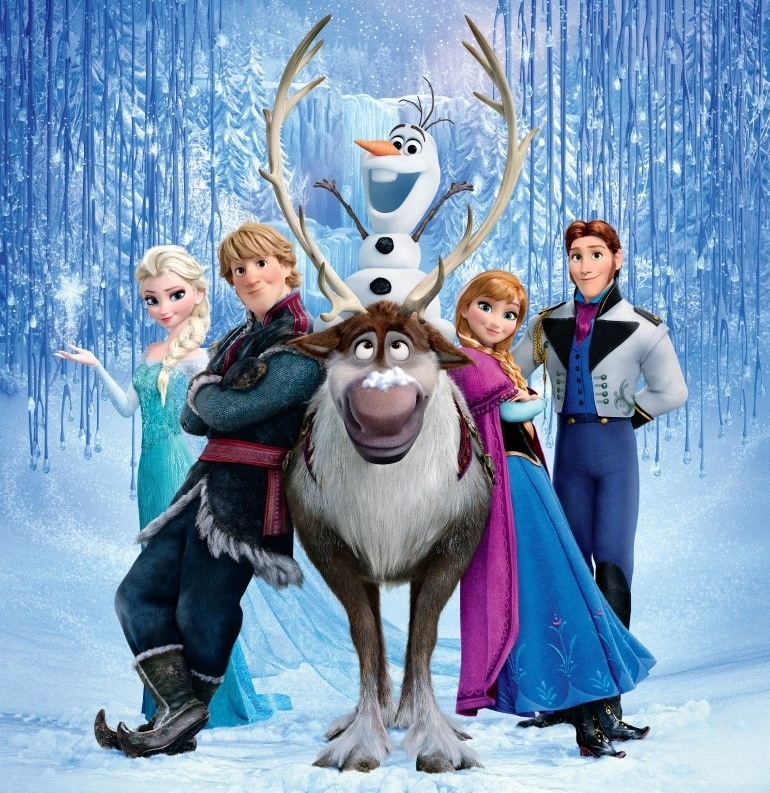 What does it mean that Disney digital animation finally has a big hit with FROZEN? - the first ever two-women directing team on a Disney feature? - stronger princesses attract a bigger audience? - this formula will be used until its frayed and tattered? - Disney princesses are never going away? - we will never see pencil animation again from Disney? - FROZEN could be the very first Disney animated film to win a Best Feature Animation Oscar? - to reward his success the studio will let John Lasseter do a hand-drawn film? A big animated hit is always a wonderful thing and, in this case, eagerly awaited and long overdue. Disney animation has been struggling ever since they closed the hand drawn division and the quality and success of FROZEN is surely a harbinger of good things to come, a second animation Renaissance perhaps? The question is, will those good things include a hand-drawn feature? Box-office success is always rewarded at Disney so we’re keen to see what John Lasseter’s success in rehabilitating Disney’s CGI animation will lead to. Will he be bold and do a hand drawn feature or at least one along the lines of PAPERMAN and GET A HORSE with new, pencily software? Let’s hope so. And, speaking of pencilly software, PAPERMAN’s Meander hybrid software was not used in FROZEN as many people mistakenly believe. Better yet, a new division for more mature animation could be created and fabulous Disney art and animation used for non-princessy subjects like an animated version of THE ORPHAN MASTER’S SON, GONE GIRL, THE ART OF FIELDING and other best-sellers and original screenplays. We would love to see Disney use its best-in-the-world art on a broader spectrum of animated subjects to reach new audiences. This could be done under the Lucasfilm ILM banner (makers of the Oscar-winning animated feature RANGO) so as not to detract in any way from the Disney princess brand. Come on Disney, branch out, we dare you. Your top-of-the-line animation should include more than beefed up princesses and fairy tales. Bring the quality of the content up to the quality of the animation art. It’s time not only to think outside the franchise box but to jump right out of it. What do you say Bob Iger, John Lasseter, Ed Catmull, Kathleen Kennedy?